Garifuna in Peril, despite its grassroots production, has a great deal of ambition, not only attempting to rescue an ethnic community and their fading language by telling their story of survival in both the historical past and the economically-shaky present, but also presenting a warm-hearted family saga with all the breadth and intimacy that entails. 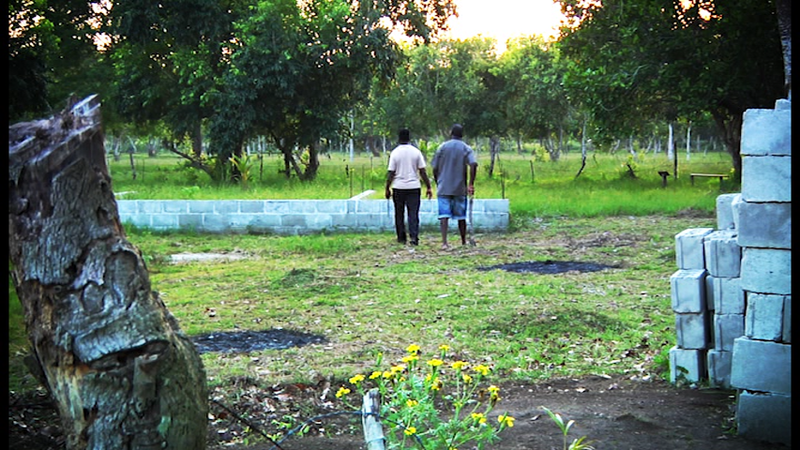 Ricardo is the foundation of an extended family that spans two countries. He lives in the US with his wife Becky, where he manages the business end of a Honduran company with his brother, Miguel, who conducts tours of their traditional Garifuna village. 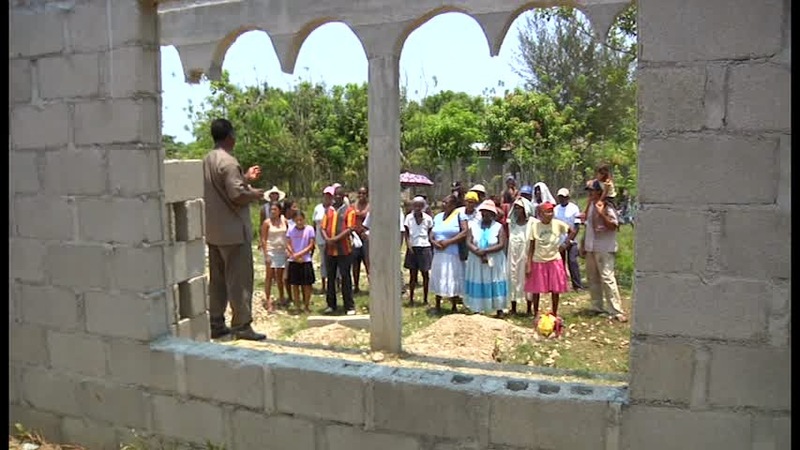 Together they are building an English-Spanish-Garifuna-language schoolhouse with the proceeds. But Miguel befriends Pedro, a bus driver for a nearby luxury hotel, and falls in love with Pedro’s sister Vera, who makes him a more lucrative offer. Ricardo has to travel back to his homeland and clear up the mess. Meanwhile Ricardo’s daughter, Helena, deals with a much older boyfriend, Gabriel, who is dragging his feet about getting tested for HIV, and his oldest son Elijah, initially indifferent to his cultural heritage, stars in a play about the Garifuna people’s 17th century resistance to British colonialism and slavery on the island of St. Vincent. 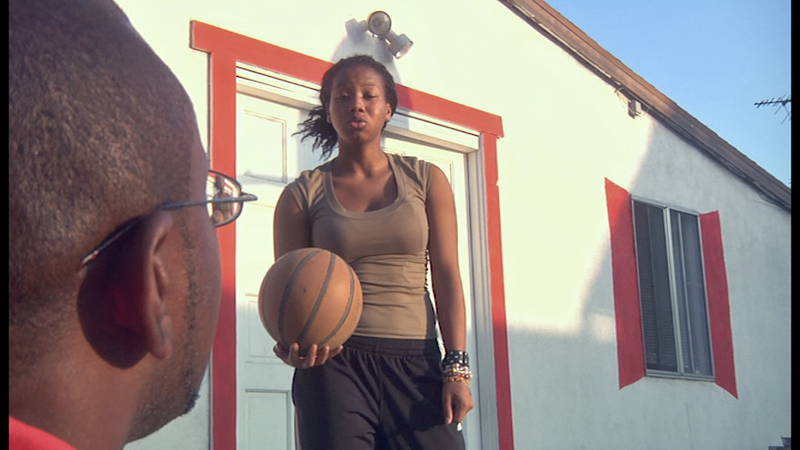 One of the keys to low-budget filmmaking is to play to your strengths. Car chases and CG are expensive, but good writing, though difficult to achieve, is cheap. 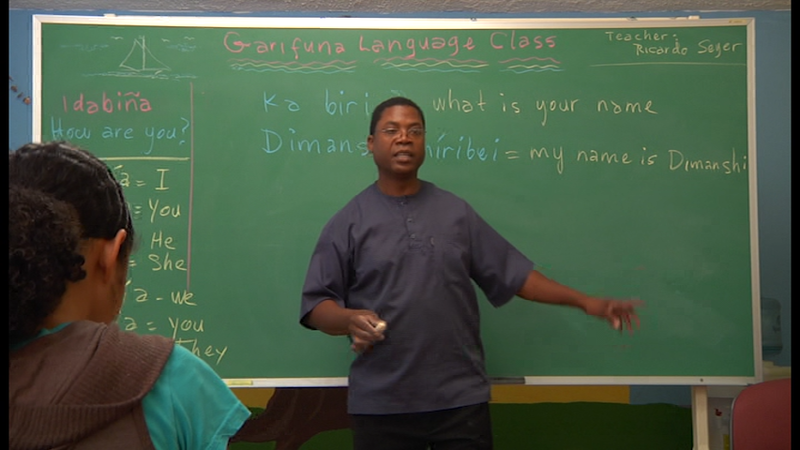 Garifuna understands this, and succeeds by focusing on a strong script that captures the everyday realism of a unique pocket of Honduras and never cuts corners in terms of what it wants to tackle and how. Of course, not every subplot gets an in depth treatment, but even the ones brushed over (like Helena’s relationship or everything having to do with the youngest son, Jimmy) give us a greater sense of a living, breathing family. There are a lot of scenes that may look like soap opera, but don’t feel like it, largely because the writing is both fair and honest. For example, Miguel’s passion for Vera is understandable even as it leads him to make an obviously poor decision and I was impressed that the film resisted giving him a tearful reunion back into the family fold after realizing his mistake. Instead he gets tipsy, wrestles inarticulately with guilt and self-disgust and finally takes off never to be seen again; pretty harsh, but also pretty true to life. Another great example of naturalistic writing, painfully reminiscent of my own experiences, is a sort of town hall meeting in which miscommunication, blame apportioning, anger venting, lingering resentments and cross-cultural mistrust make it hard to get anything meaningful done, though that doesn’t stop a few optimists from trying. I was also keen on the hotel owner’s climactic “villain speech,” which is actually reasonable, persuasive and open to some compromises, an almost unheard of rarity in stories about communities squaring off against large corporations. The acting and directing don’t quite live up to the same level as the writing. Ruban Reyes, who stars as Ricardo and co-directed, raises the level of every scene he’s in (and thankfully he’s onscreen a lot), but the rest of the cast feel like first-time actors, which isn’t surprising, because they are. Garifuna in Peril isn’t likely to generate a lot of buzz, but for those among the Garifuna diaspora or who take an interest in Central American cultures, they’ll be well satisfied by this film. This was the first Film Atlas title submitted by a reader (and it beat out the Honduran films I was able to track down on my own). If you know of or represent a great film from a country not yet on the Film Atlas, please let know! I'd be happy to hear from you.